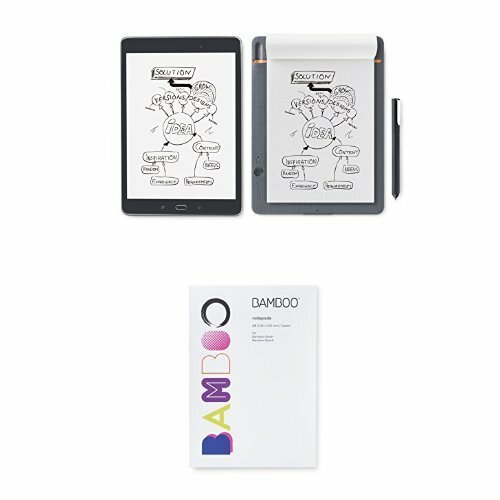 Wacom Bamboo Slate Smartpad, Small & A5 Notepad Paper by Wacom at Got Busted Mobile. Hurry! Limited time offer. Offer valid only while supplies last. Write your notes naturally with pen on any paper and instantly digitize your handwritten notes and sketches with the push of a button. Store, synchronize, edit and enhance your notes and sketches on your iOS or Android Bluetooth enabled device with Wacom Inkspace. Export your notes as JPG, PNG, PDF or WILL file formats and sync with cloud services like Inkspace, Dropbox, Evernote, and OneNote.